The challenge to those creating publicity stunts is creating something that augments the brand message rather than burying it. It is not easy. So what does make a good stunt? What can you get out of it? And the classic debate: is there such a thing as bad PR? If you’re looking for a high impact way to get your brand, product or message out into the world and in front of your audience, then PR stunts fit the bill. PR stunts are a great way to showcase your brand personality and allow your audience to understand and ally themselves to your brand and what it stands for. Rebel beer brand Brew Dog does brilliantly. Their stance would be a disaster for many brands, but for them it’s been key in creating their iconic status. 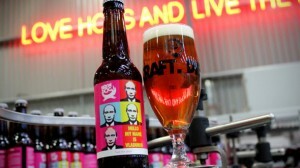 Business and marketing experts often case study Brew Dog for their bold and successful approach. There’s no point doing anything by halves. Publicity stunts are meant to have a public as a witness. Hence, it is essential for stunts to be visual and often visceral – generating emotion.